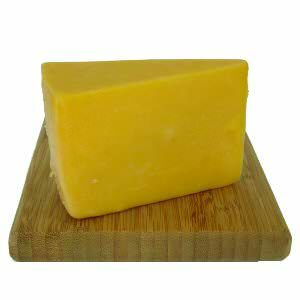 Double Gloucester is a semi-soft cheese and made from whole milk and is made using a mixture of morning and evening milk, hence the name, Double Gloucester. Traditionally Double Gloucester is a semi-soft cheese which has been made in Gloucestershire since the 16th century. 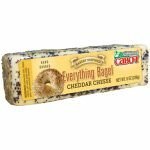 It was traditionally made as a large wheel with a thick rind to withstand annual cheese rolling ceremonies; when cheeses were rolled down the hills in Gloucestershire to protect the grazing rights. It was originally colored with carrot juice or saffron. These days cheese makers use a vegetable dye called annatto. 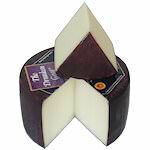 Double Gloucester has a smooth, buttery texture with a clean, creamy, mellow flavor that suits a Rioja or a Riesling. 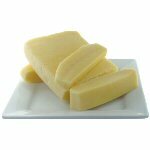 Usually matured for around 3-4 months, Double Gloucester is orange in color and has a smooth, creamy texture. Ingredients: Pasteurized cow's milk, salt, dairy cultures, color annatto, clotting enzyme.